Fiji's maverick military commander ousted the government and seized control of the country Tuesday, marking the fourth coup in the troubled Pacific nation in the last 20 years. 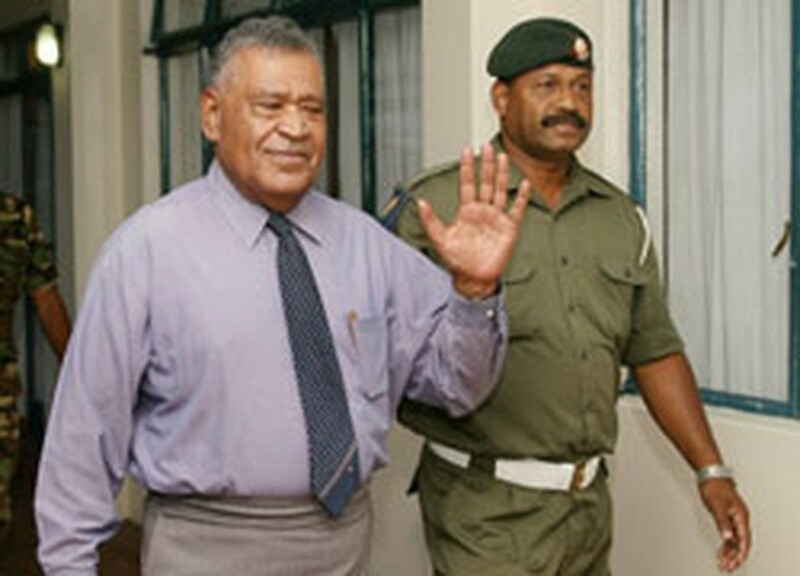 Commodore Voreqe Bainimarama pledged the takeover would not be permanent but said elected Prime Minister Laisenia Qarase, whose house was besieged by troops, had been conducting his own "silent coup" against the Fijian people. "The military has taken over the government, has executive authority and the running of this country," Bainimarama said at a press conference to announce that Qarase and his cabinet had been dismissed. "I request you to remain calm and support the (military) in this process of political readjustment to pave the way for a new Fiji," said Bainimarama, who did not say what would become of Qarase. The takeover capped months of tensions between the prime minister and Bainimarama, who was infuriated by a proposal to offer amnesty to the plotters of the country's last coup in 2000 -- in which he was nearly killed by a mob. Bainimarama, who had also demanded a halt to an investigation into possible sedition charges against him in connection with the 2000 coup, said he took action after the premier failed to show at a meeting with the president. Earlier, as Qarase announced that he was under house arrest, regional powers Australia and New Zealand condemned the looming military takeover in the tiny but turbulent country. Australian Prime Minister John Howard said the takeover was a "tragic setback" for democracy in Fiji but added that he had rejected an appeal from Qarase to send Australian troops and keep him in power. Qarase was effectively appointed by Bainimarama after the 2000 coup, and was re-elected for a second five-year term last May. But he fell out with the commander over a plan in the legislation to pardon plotters of the 2000 coup.